Description: Security is the focal point for the development of information technology (IT) which is the most important driving force for global innovation. However, security in an IT-world of ubiquitous computing cannot be guaranteed by existing technologies. An internationally important cluster for IT- Security research and development is found at Darmstadt. 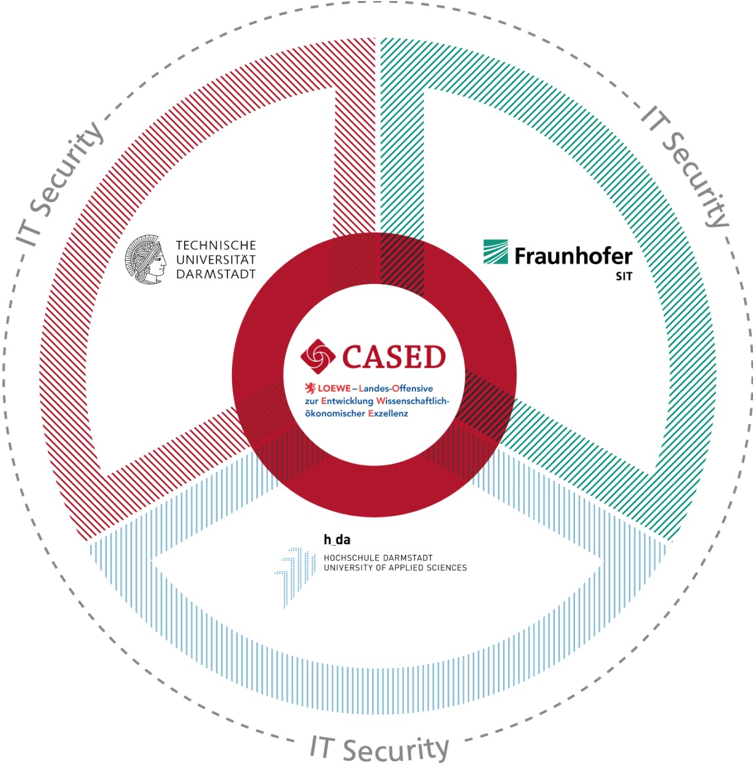 It is here where computer scientists, engineers, physicist, legal experts and experts in business administration of TU Darmstadt, Fraunhofer SIT and Hochschule Darmstadt develop trend-setting IT- Security solutions and prepare them in order to be commercially useful. All of those partners involved, qualify students and scientists for careers in science, business and administration. Headquarters of that cluster is the Center for Advanced Security Research Darmstadt (CASED) which receives funds by the LOEWE programm of the Hessen government. The funds of LOEWE cover infrastructure of CASED and cooperative CASED projects of cluster partners, i.e. TU Darmstadt, Fraunhofer SIT and Hochschule Darmstadt. In these projects the cluster develops applicable basic knowledge and IT- Security solutions. Thanks to its broadly-based position in regards to topics and competencies, the cluster and its headquarters CASED can realize especially complex projects efficiently and sustainably. The Darmstadt IT-Security cluster always welcomes new members which wish to benefit directly from the cooperation within.